Calculator Deal have a wide variety of specialty calculators include construction, real estate, financial, business, scientific, mathematics, graphing, electrical, and printing. We also provide guide, books and accessories for top calculator brands. A calculator is one of the few products you’ll purchase for yourself or your child which could use for daily calculations on various calculation task. The guide which follows will help you understand the functionality of various calculator, the differences between the many available models, and how to choose the best calculator for your need. There are numerous different types of calculators available on the market, from basic four-function models, financial calculators used by students studying a financial or business field, to graphing calculators used in advanced applications. A modern calculator is a piece of technology that allows people to make mathematical calculations ranging from the simple to the complex. When buying a calculator, it is important to identify what type of calculator is required, as there is no point investing in an expensive product that does not meet the needs of the buyer or has too many unneeded functions. Conversely, if an expensive high-tech calculator is required, it is important to find the right one in order to make a smart investment. It is important to know the different types of calculators available in order to make the right purchase. Four-function calculators, for example, are of little use in higher education, whereas a graphing calculator is of little use to a child in elementary school. Another factor that influences the type of calculator to be purchased is cost. If purchasing a calculator for a student, it is worthwhile asking the teacher or school which type of calculator they recommend. Overall, there are several basic types of calculators: four-function, graphing, scientific, financial, and printing. The four-function calculator is a very basic calculator that can perform the four standard arithmetic functions: addition, multiplication, subtraction, and division. These models are generally the cheapest of all calculators and are most suited for the home, for budgeting, or in early education settings for computing basic equations. These calculators are usually battery operated, solar powered, or a combination of both. Many four-function calculators that are designed for young children have larger keys spaced far apart, a tough plastic case in case they are dropped, and a large easy-to-read display. These models are ideal for young children learning calculation skills. Basic four-function calculators often have percentage and square root function keys alongside the four basic functions. Once a child reaches high school, four-function calculators are of little use in mathematics classes, as a calculator with more advanced functions is generally required. A graphing calculator is one of the most advanced types of calculators, and it is also one of the most expensive. A graphing calculator is usually only required for advanced-level mathematics classes and in certain industries, such as engineering. Graphing calculators have numerous different functions, far more than four-function or scientific models. Extra functions include cubed root, and radical number function keys, and some models are capable of performing multiple tasks or equations at the same time. Unlike scientific and four-function calculators, graphing calculators generally come equipped with a fairly generous memory capacity and are programmable, and, with the built in memory, are capable of storing previous equations and calculations so that they can be viewed later. Graphing calculators are characterized by a comparatively large display screen originally intended for plotting and viewing graphs, but it also allows room for several lines of text. This is very useful when performing long or very complex calculations. Some high-end models have a color screen output as well as built-in software that allows users to create or view graphs or models as both 2D and 3D representations, enabling users to get a clear understanding of the data. A large number of these calculators can act as dataloggers. A datalogger is a device that is capable of recording and storing data or information from a specific source. In the case of a graphing calculator, this data may be from a thermometer, speedometer, or electronic scale. These models can often connect to Wi-Fi as well. In an educational setting, graphing calculators should only be purchased and used if recommended by the teacher. 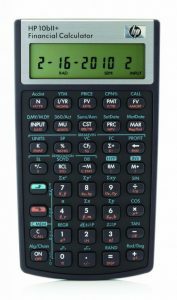 Because of their programming capabilities, graphing calculators are not allowed when taking a large number of standardized tests, such as the ACT and the SAT exams, although some models, such as the TI - Nspire CX and TI-84 Plus Calculator, have been cleared for use in most examinations, including the SAT and ACT. Scientific calculators today have undergone a few modifications to better serve the needs of the students. They are designed to be easier to use with added functions and better designs. Although all calculators will be able to give you the correct answer if you know how to use it, not all calculators qualify to be considered as the best scientific calculator. Scientific calculators have many more functions than the standard four-function models, but they have far fewer capabilities than graphing calculators. Scientific calculators are commonly used in high schools, from junior classes to college level math classes, to aid in the study of trigonometric, hexadecimal, and binary calculations. Scientific calculators are often the models of choice in an educational setting and are allowed on a far greater number of standardized examinations than graphing calculators. Different models have slightly different function buttons and formats, but many of the additional features include tangent, sine, and cosine keys, as well as hypotenuse, and parentheses keys. Why do you need a scientific calculator? 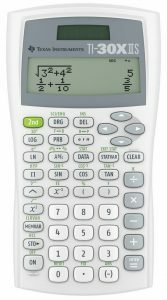 Scientific calculators are much cheaper than graphing calculators, but almost every student will graduate onto a graphing calculator before graduating high school. Financial calculators are primarily used in the finance industries, such as accountancy and banking. They are also used by students studying a financial or business field. These calculators are used for complex financial equations dealing with dollars and cents. They share the basic elements of the four-function models but also include other unique functions, such as inflow and outflow keys. Present Value (PV) and Future Value (FV) keys are also a very common feature. These keys can be programmed with any desired value. The P/Y key is another programmable value, which means number of payments per year. Financial calculators can be considered quite confusing because the programmable value keys must be cleared or have their values replaced each time a new calculation begins, otherwise, because of their capacity to store values, new equations may yield incorrect results if not properly programmed. Financial calculators provide numerous benefits to individuals managing their personal finances, as well as business workers, accountants, actuaries, and students faced with challenging, time-consuming calculations. They make tedious financial calculations quick and easy, giving you more time and energy to focus on the important decisions. From basic statistics to complex financial computations, financial calculators simplify and solve your problems efficiently. Why will I be using the calculator? Will I be taking financial certification exams (CFP, CFA, Series 7, CPA, SOA)? Do I need a graphing/scientific functionality? Printing calculators are available across all the calculator types, from four-function to graphing. Generally, printing calculators print every keystroke made on the machine, giving users a clear equation, complete with workings and method. These can be very useful for large, complex equations, as well as for financial applications. Printable calculators usually have a roll of paper, similar to a cash register receipt roll, placed near the top with an automatic feed that prints out the desired data. There are advantages and disadvantages to each calculator type. Some users only require a basic four-function model to complete household budgets or for elementary school classwork. Other users require a more powerful machine that has trigonometry capabilities, such as the scientific calculator, commonly used in middle school and high school mathematics and science lessons. 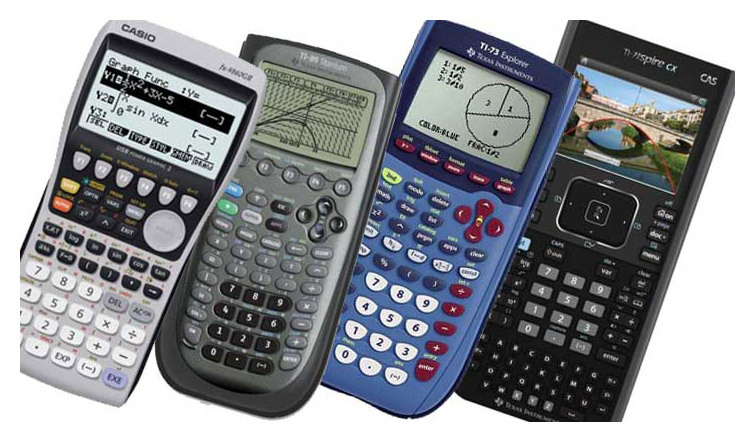 More advanced users or high school and college students may require the use of a graphing calculator, which can produce graphs, store multiple calculations in a comparatively large memory, and connect to external instrumentation. Accountants and those working in finance may require the use of financial calculators, which have unique financial function keys but do not have many advanced functions found in graphing and scientific models. For those who desire or need to keep track of their calculations and workings, a printable calculator may be the most appropriate choice. There are printable versions of all of the calculator models. The following chart summarizes the advantages and disadvantages of each calculator type. Schools and other educational establishments often recommend Texas Instruments (TI) calculators, particularly when referring to scientific or graphic calculators. Casio and HP are also popular calculator models with schools and independent users alike. 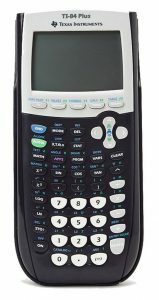 If the intended user of the calculator is a student, it is worthwhile asking the teacher for a recommendation, as it is often easier if the student, particularly in high school, has the same or a very similar make and model of calculator as the rest of the class, because the function and placement of keys will be identical, making finding specific keys and performing new tasks easier. It is also possible to find quality second hand calculators, as often students or parents will sell the unwanted calculator when the child finishes school or moves from a scientific calculator to a graphing calculator. Calculators by Canon and Sharp aften recommend by business and finance industry as essential calculating tools for their business task.